The public launch of efforts to develop the Octal Small Form Factor Pluggable (OSFP) optical transceiver module for 400-Gbps applications has arrived. The multisource agreement (MSA) development group, led by Arista Networks, includes 49 members. "It is rare to see so much industry support behind a new optics module form factor," said Andreas Bechtolsheim, chief development officer at Arista Networks. "We believe that the OSFP ecosystem will be a key element in enabling a successful market transition from 100 Gbps Ethernet to 400 Gbps and beyond." In addition to Arista, OSFP MSA participants include Acacia Communications, Accelink, ADVA Optical Networking, Amphenol, AppliedMicro, Applied Optoelectronics, Barefoot Networks, Broadcom, Cavium, ClariPhy Communications, ColorChip, Coriant, Corning, Dell EMC, Finisar, Foxconn Interconnect Technology, Fujitsu Optical Components, Google, Hewlett Packard Enterprise, Hitachi Cable Systems, Huawei Technologies, Infinera, Innolight, Innovium, Inphi, Intel, Ixia, Juniper Networks, Kaiam, Lorom, Lumentum, Luxtera, MACOM, Marvell, Mellanox Technologies, Molex, MultiLane, NeoPhotonics, NEL America, Nokia, Oclaro, PHY-SI, SAE, Senko, Source Photonics, Sumitomo Electric Industries, TE Connectivity, and Yamaichi Electronics. What is the OSFP (Octal Small Form Factor Pluggable)? The OSFP is a new pluggable form factor with eight high speed electrical lanes that will initially support 400 Gbps (8x50G). It is slightly wider and deeper than the QSFP but it still supports 32 OSFP ports per 1U front panel, enabling 12.8 Tbps per 1U. 400G Optics require more power than 100G Optics and many of them will not fit into the existing QSFP form factor. Depending on the specific 400G optics technology the initial power projections range from 7.5 Watt to 15 Watt. The OSFP MSA will seek to develop specifications for an optical transceiver capable of supporting transmission rates up to 400 Gbps (8x50G initially) in a size that will enable 32 ports per 1RU line card. 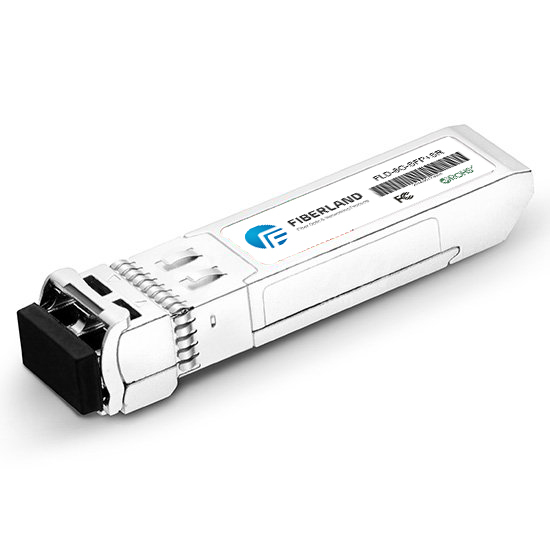 The modules will support reaches from the data center to metro networks and, according to the MSA members, will be "slightly wider and deeper" than a QSFP module. The OSFP is able to meet the projected thermal requirements for 800 Gbps optics when those systems and optics become available in the future. What about Backwards Compatibility with QSFP? The small size and comparatively low power consumption of the OSFP aims to meet the requirements of member Google and similar large-scale data center operators. The OSFP is the third MSA aimed at creating a 400 Gigabit Ethernet optical transceiver form factor.